The Hampton Inn Hammond hotel in Louisiana is a three-story interior corridor hotel with an elevator 78 regular guest rooms including three suites. 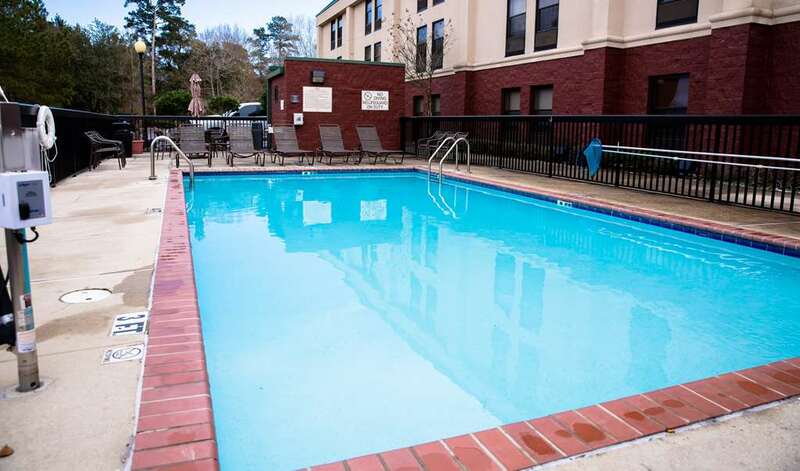 Our Louisiana hotel offers a hot breakfast business center with high-speed internet access wireless internet in the lobby a fitness center coin laundry services complimentary parking and an outdoor pool. We offer our large meeting/conference room and a small board room also available. All of our rooms are very spacious and equipped with microwaves refrigerators hair dryers clocks coffeemakers iron and board basic cable with complimentary HBO high-speed internet access and ceiling fans. We love having you here at the Hampton Inn Hammond hotel in Louisiana.